President Donald Trump abruptly announced the cancellation of sanctions imposed by his own Treasury Department to tighten international pressure on North Korea. Talks between Trump and North Korean leader Kim Jong Un broke down in Hanoi less than a month ago. "It was announced today by the U.S. Treasury that additional large scale Sanctions would be added to those already existing Sanctions on North Korea. I have today ordered the withdrawal of those additional Sanctions!" Trump said in a tweet. 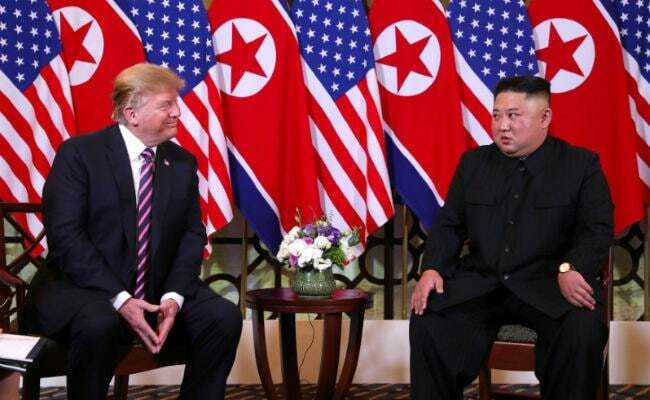 They were the first new sign of pressure since talks between Trump and North Korean leader Kim Jong Un broke down in Hanoi less than a month ago. However, Trump, who has previously spoken of "love" for the totalitarian leader, appears to retain hope that his strong personal relationship will bear fruit. This was Trump's second major, unexpected foreign policy announcement by Twitter in two days. On Thursday, he sent a tweet reversing decades of US policy and pledged to recognize Israeli sovereignty over the hotly contested Golan Heights border area with Syria.